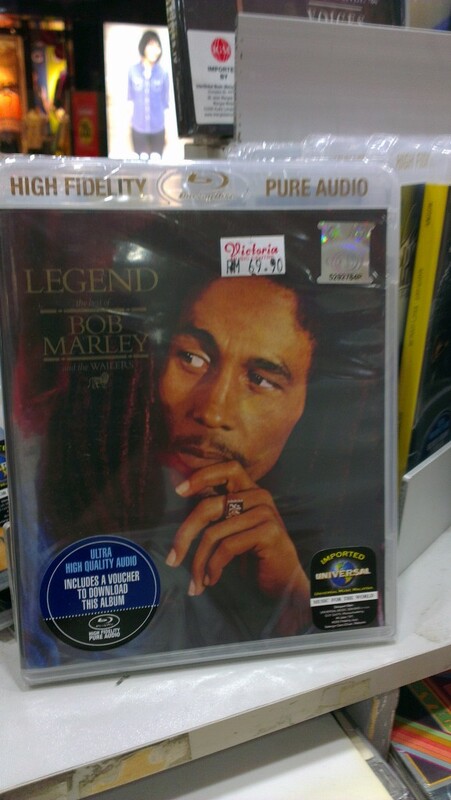 Now in Malaysia: Diana Kraal and Lionel Ritchie on High Fidelity Blu-Ray. 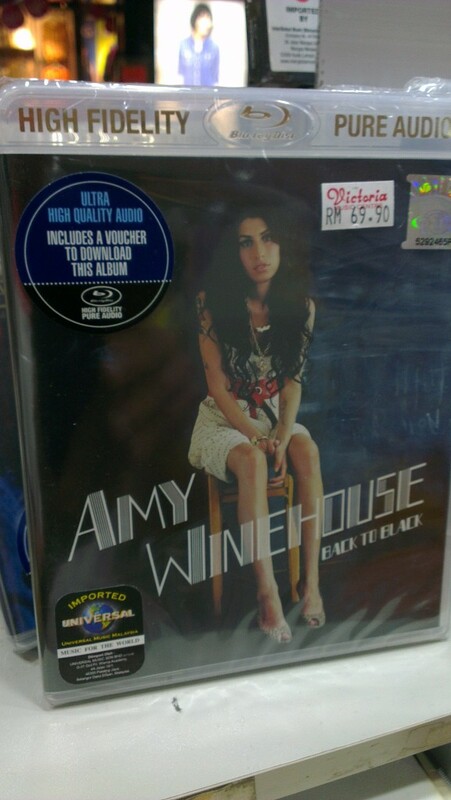 There I was doing some Christmas shopping in Amcorp Mall yesterday when I popped into Victoria Music and spotted something I had never seen before – high-resolution albums in Blu-Ray. Yes, you read that right – you play the audio disks on a Blu-Ray player. Or a PS3. I asked the shop assistant some questions and she was not sure how it worked. So I called my audiophile buddy, Willy. He said he had heard of it and how to play it would depend on the Blu-Ray player – if it has only HDMI out, it has to be connected to an AV receiver, if it has analogue out, it can be connected to a pre-amp or integrated amp and if it has coax out, then it can be connected to an external DAC. But he was not sure which format – PCM or DSD – was used in these disks. In the office, I googled and found out that it was a totally new development in the music scene with Universal Music Group being the force behind it with a supporting cast including Warner Music Group, Bose, Bang & Olufsen, Dolby, DTS and others. They have called themselves the High Fidelity Pure Audio (HFPA) Group and the releases are studio masters which are converted into three ultra high-quality lossless formats stored in a Blu-Ray disk. 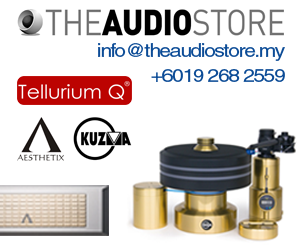 These formats are uncompressed PCM, DTS HD Master Audio and Dolby TrueHD. The resolution is a minimum 24/96. Some disks offer 5.1 reproduction. HFPA is banking on several factors for the Pure Audio Blu-Ray disks to succeed and not go the way of other high-resolution formats like SACD and DVD-A many years ago. BBC quoted Olivier Robert Murphy, global head of new business at Universal Music, as saying: “It’s all about timing, When SACD launched it was supported by only part of the industry, and you had to buy a 1,000 euro (RM4,500) player. Here, we have 33% of the population that already has a Blu-Ray player at home. High Fidelity Pure Audio disks were launched first in France in May and response was good. According to BBC, the initial batch of 35 titles have already achieved sales of more than 500,000. Warner Music and Sony have already released albums on Blu-Ray in France and Japan, while Universal plans to issue 200 albums in 14 countries “very quickly”, BBC reported. Murphy acknowledged the selection relied heavily on heritage acts. “It’s not necessarily a strategy,” he told the BBC, “but what we realised is that initially we’re talking to specialists, we’re talking to a niche”. She should sound good on high-resolution format. However, Murphy said the long-term goal was to release new albums in the format, too. But, in an admission of modern listening habits, albums purchased in the Blu-Ray format will come with a free copy of the MP3 version which can be downloaded from the Internet. The hi-res High Fidelity Blu-Ray disks were launched in UK in October. They reached Malaysia in December. That’s not too bad considering that Malaysia is not exactly the most lucrative market for CDs or even Blu-Ray disks in the world. In terms of pricing, it is also not too bad. It is priced at 16.99 pounds (RM91) in UK, US$29.99 (RM98) in US and 20 euros (RM90) in Europe while in Malaysia, it is retailing at RM69.90. Victoria Music has about 20 titles and the Blu-Ray disks have been selling quite well.